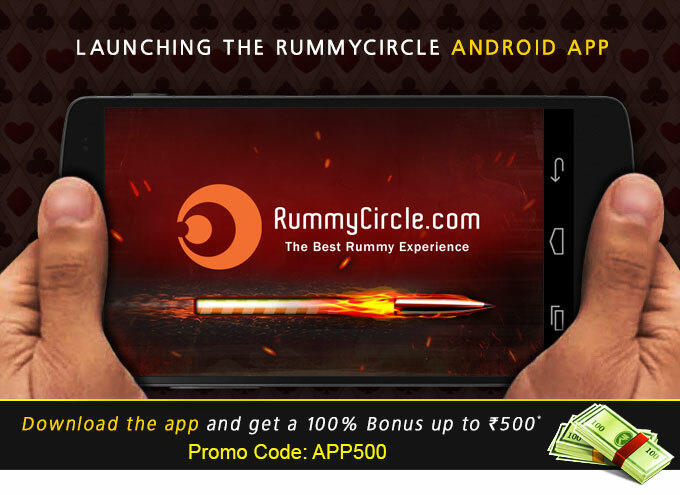 Rummycircle, the big name in the online rummy field has joined the mobile arena. Download Rummycircle Android App and start playing with a bonus of 100% up to Rs.500. The offer is only applicable for players who download the app and make their first deposit/purchase via there smartphone. Rummycircle Android App – Download Now! It’s so easy to download the Rummycircle Android App. Just give a missed call to 080-8089-4422 or enter your number by going to the promotions page of the website or use your QR code scanner to scan the code. Any of these methods will provide you the link to the download the app from the Google PlayStore. After downloading the Rummycircle Android app, use code APP500 while making your first purchase. The maximum bonus you can claim from the mobile app is Rs.500. The bonus code is only applicable on the app. You cannot redeem the code via the rummy website. Play with your friends anywhere, anytime. Play Pool Rummy, Cash Games, Tournaments and more..
We also welcome you to drop your valuable comments and feedback on our rummy reviews, articles on promotions, bonuses etc. You can comment your views in the comment section below.